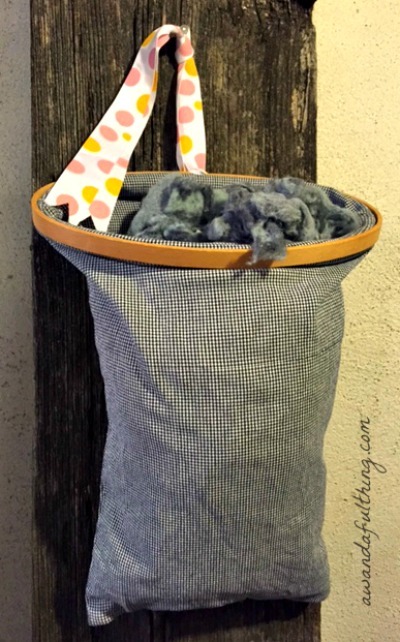 July Craft Challenge – incorporate fabric into a craft! Last month was our embroidery hoop challenge and the picture to the left shows the laundry lint bag I made. I used some fabric from my stash in that challenge so technically it could count as my July craft too but I had something else in mind when I scored these adorable little bath mats at my local Dollar Tree for $1.25 each. 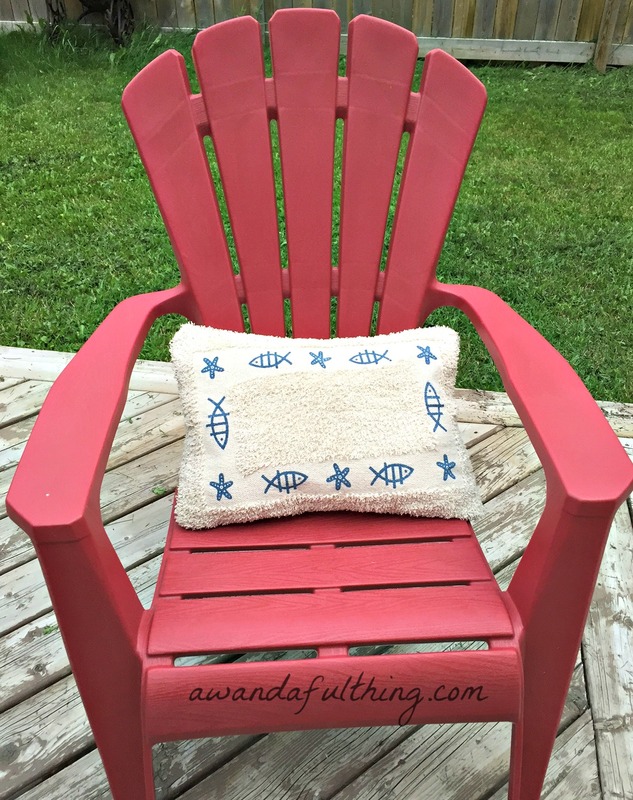 I thought they would make awesome little pillows to use on my Adirondack chairs on my back deck. They were super easy and fast to make. 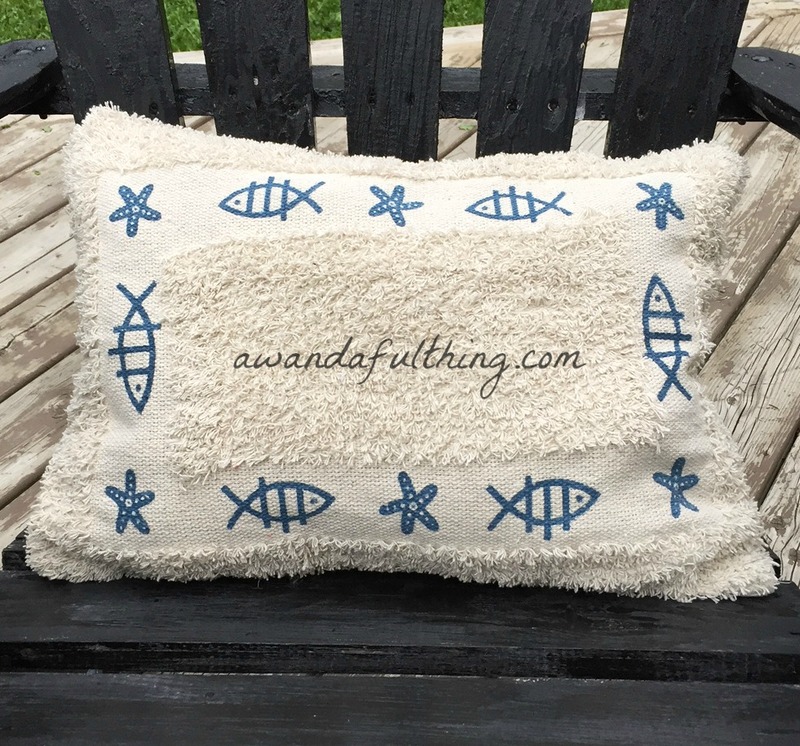 I had an old tablecloth that I couldn’t decide what to do with so it came in pretty handy for this project as I cut two pieces from it the same size as the bathmats to use as the backsides of my pillows. You could sew these up by hand or run a quick straight stitch on your sewing machine. I stuffed mine with fibrefil although a pillow form would work just as well. The only dilemna I have now is which color chairs to use them on 🙂 I might need to make two more. Seems Amelia and I were on the same wavelength as when she sent me the picture of her completed craft it, too, was a pillow. 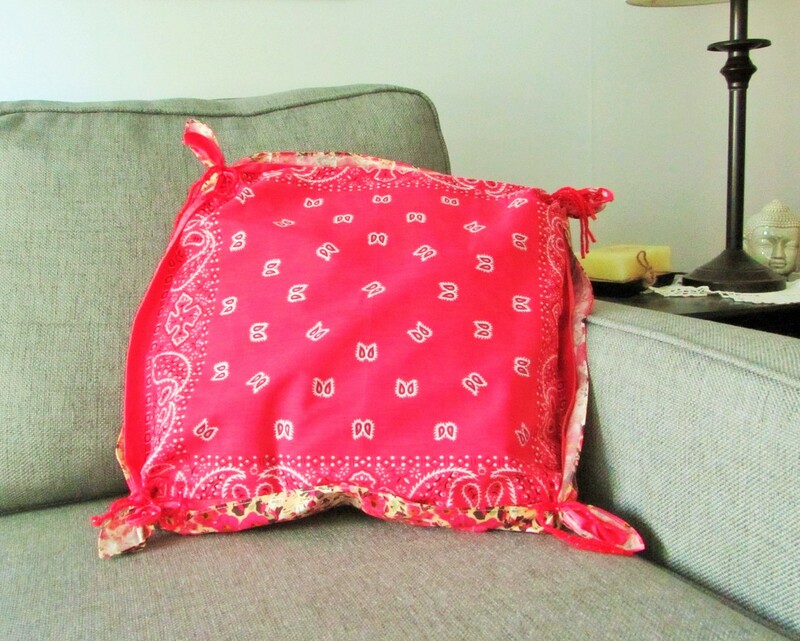 She made it using a bandana and left over material – be sure to check out the full story at You Can Always Start Now. Be sure to Mark Your Calendar for August when we will be crafting or creating with a terra cotta plant pot. Thanks for stopping by we would love to have you join us – it’s never too late! 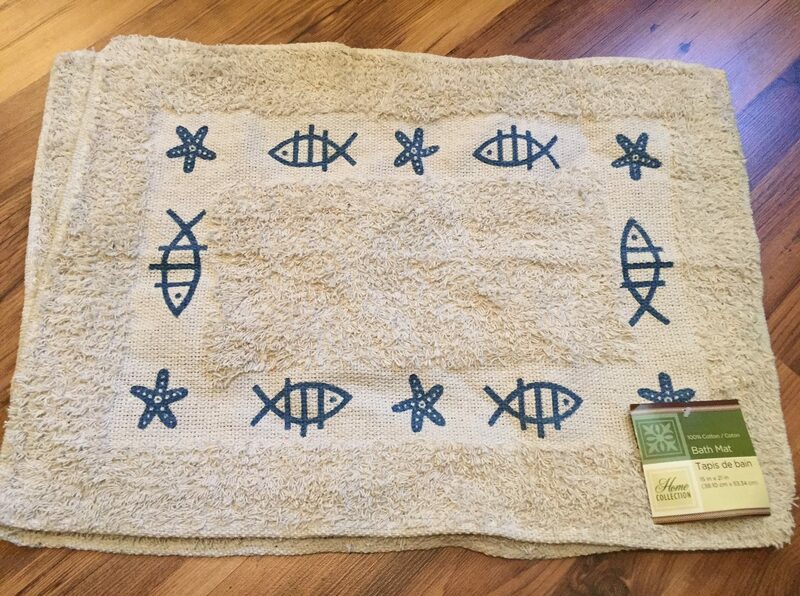 This entry was posted in Decorate, Make and tagged bathmat, Blog, challenge, cheap, Crafts, Decorate, DIY, dollar tree, easy, fast, free, friend, ideas, July, pillow, sew, simple, tablecloth. Bookmark the permalink. Great score on the bath mats. Comfy for out on the deck!